Minecraft is an incredibly popular game for both children and adults. It can be used on a PC or there is also a pocket version App on both the App store and Google Play. The premise of the game is to ‘craft’ things and make your own world. Although it is often viewed as ‘just a game’ it actually has many educational uses. 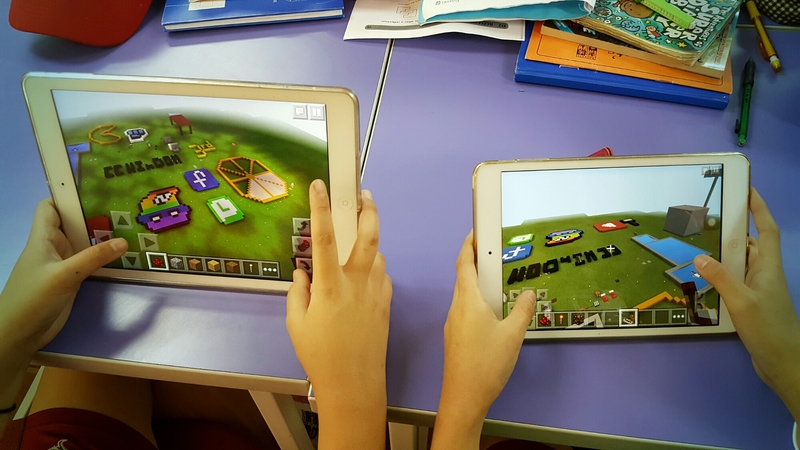 My students really like Minecraft, so why not engage them in learning through it? 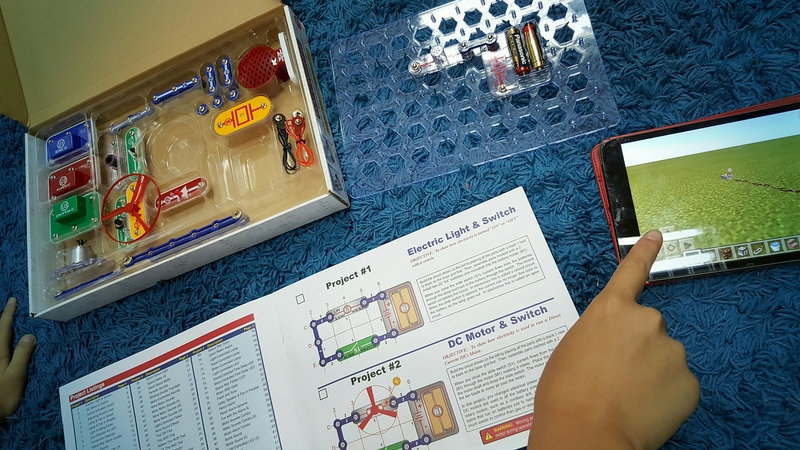 How do you create a circuit in Minecraft? First place a ‘Redstone Lamp’ on the ground (this is the light bulb). Then use ‘Redstone Dirt’ as wire and connect the lamp to a ‘Lever’ (this is a switch). It’s as simple as that. The answer is no. If you break the wire on one side, the current still can reach the lamp on the other side. 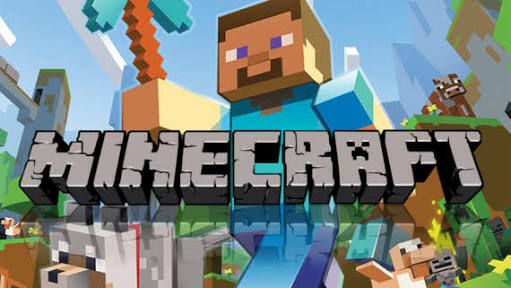 However this was a great talking point for my students: they loved the fact they spotted that Minecraft was ‘wrong’. This experience has really opened my eyes to how much logic and problem-solving is involved in the game. 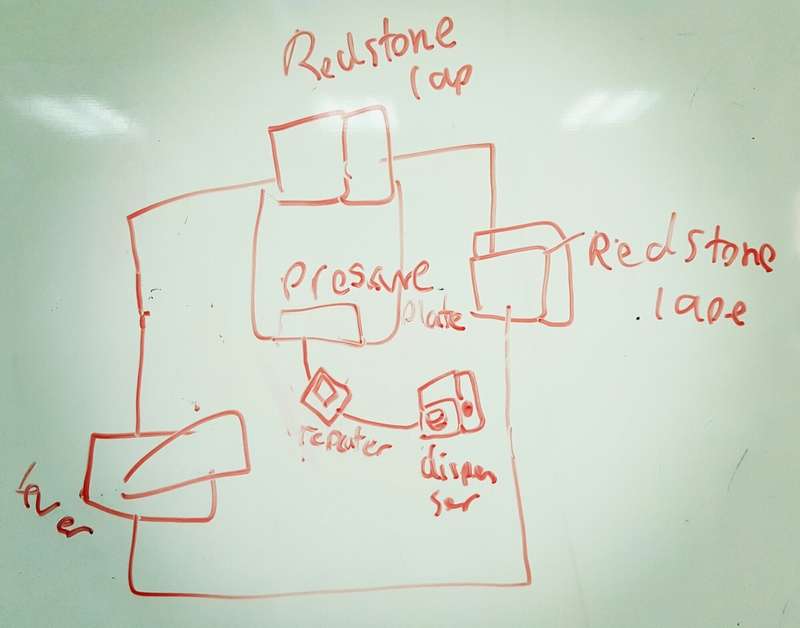 What other ways can Minecraft be used in class? Minecraft also allows for collaboration; if your students enter the same world, they can work on projects together. I have created my own 6J world for future lessons. – Make some music using different sounding blocks. 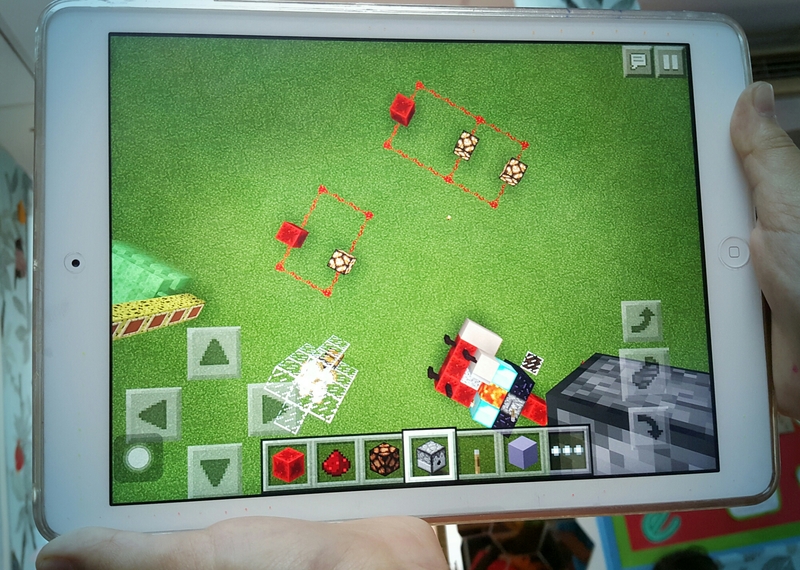 – Look at volume of objects in maths using the Minecraft blocks. – Making a prototype object for a DT project. Let me know if you have any more ideas? I will definitely be posting about Minecraft again. Previous EdTech Tutorial: How to do slow writing using Google Docs. Next EdTech Tutorial: How to use the App ‘Prezi’ to create an amazing presentation.